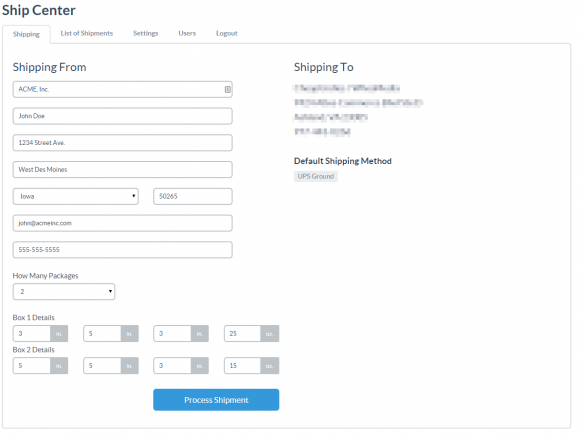 This custom web application is to allow for retailers to sign in and print shipping labels and track them. As well as an “admin” side to control the shipping address, delivery method, mail settings, etc… It uses the EasyPost API to work with UPS and other carriers to retrieve the shipping labels, as well as using webhooks so retailers can track their shipments and receive update notifications. It’s built using PHP 5.5, MySQL 5.x using Laravel 4.2 as the framework. And using “Flat UI” (a fork of Bootstrap 3.x) for the UI. Please request a username/password if you’d like to explore it.